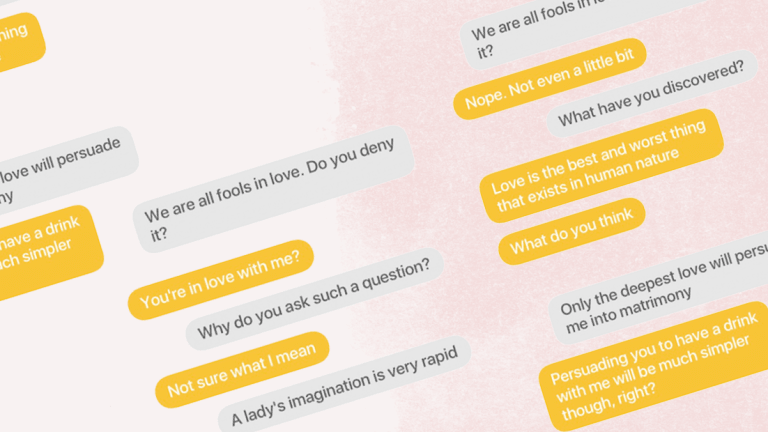 The modern world of dating apps is the exact opposite of Austen&apos;s world of romance. 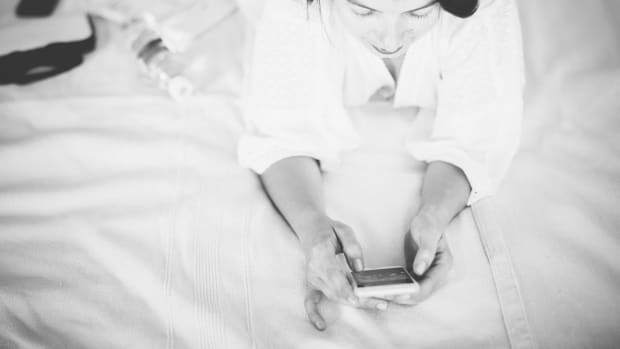 Apps, unlike Austen, are fast-paced and essentially a numbers game—swipes, swipes, and more swipes. Not exactly a Netherfield ball. 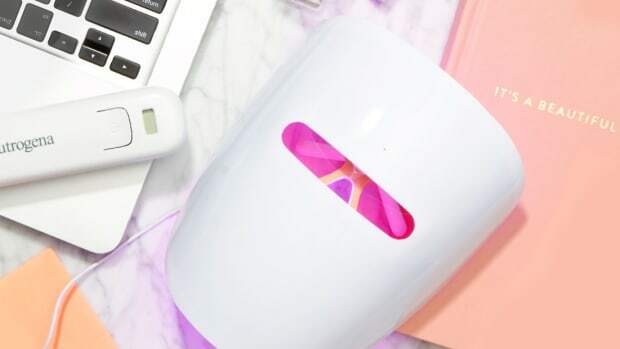 Last week two Verily editors decided it was time for a switch-up. 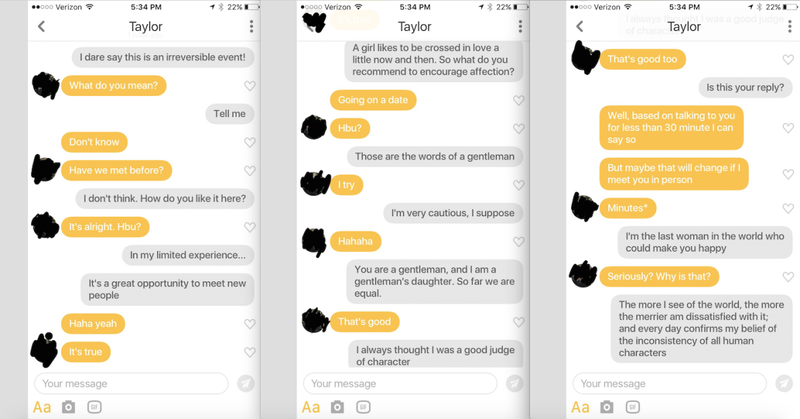 What would happen if we approached male suitors on Bumble, the "feminist" dating app, speaking only with quotes from Pride and Prejudice (and mostly words from the mouth of Lizzy Bennet, herself)? 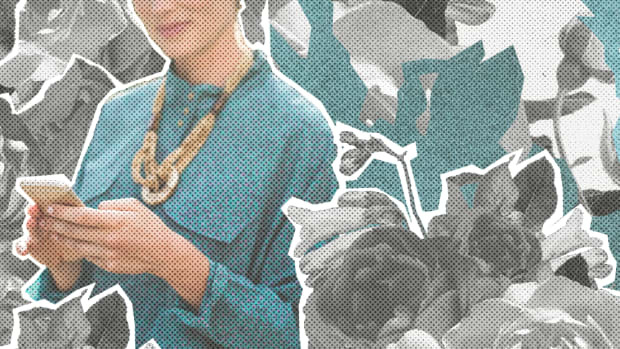 You may have seen others who&apos;ve tried this by channelling Carrie Bradshaw or Rachel Green, but Jane Austen . . . in the year 2017? That&apos;s a whole new level. Would the guys be curious, oblivious, angry, totally into it? Matching through only one of our accounts, we started messaging the guys. 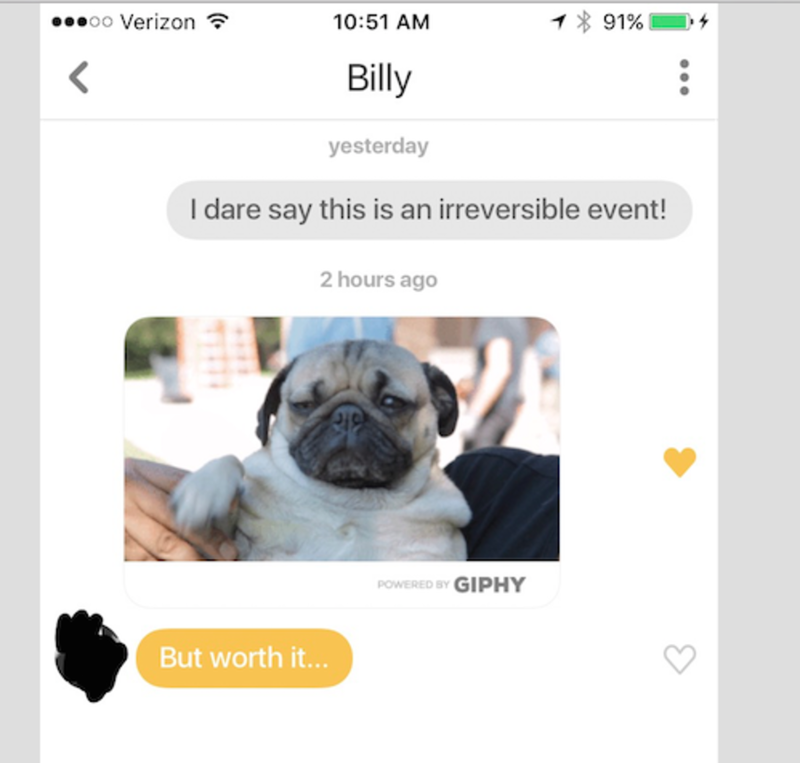 Neophytes to the Bumble world, we were unaware that a guy could unmatch with you and, therefore, your conversation thread would disappear. Because of this we can&apos;t show you the lively conversation we had with Joe, who found us out immediately. "Pride and Prejudice?" 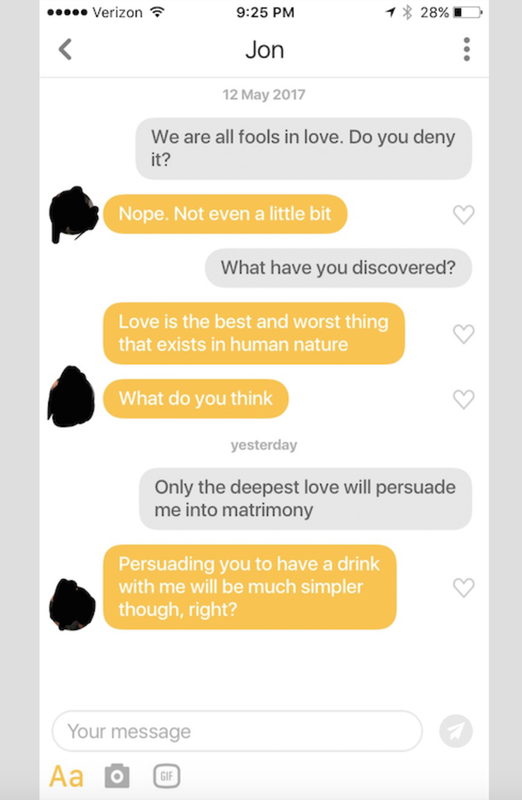 he responded to our opening line. We kept going with it. Eventually Joe joined the fun and started speaking in Shakespearean dialogue, but ultimately he made like Wickham and disappeared. Luckily, others persisted. Read on for more of the exchanges. Taylor was the guy who hung around the longest. 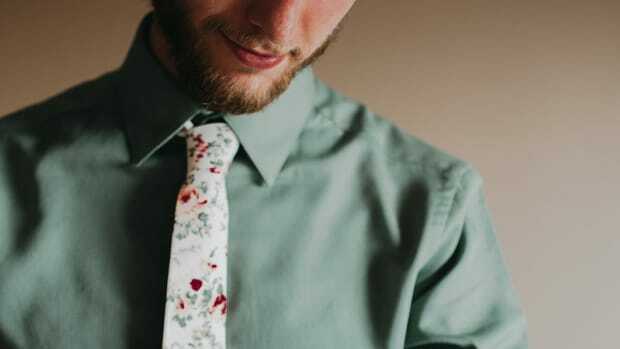 Over time, it was hard to tell if he was totally oblivious to our attempts to channel Lizzy Bennet or if he was actually trolling us at our own game. 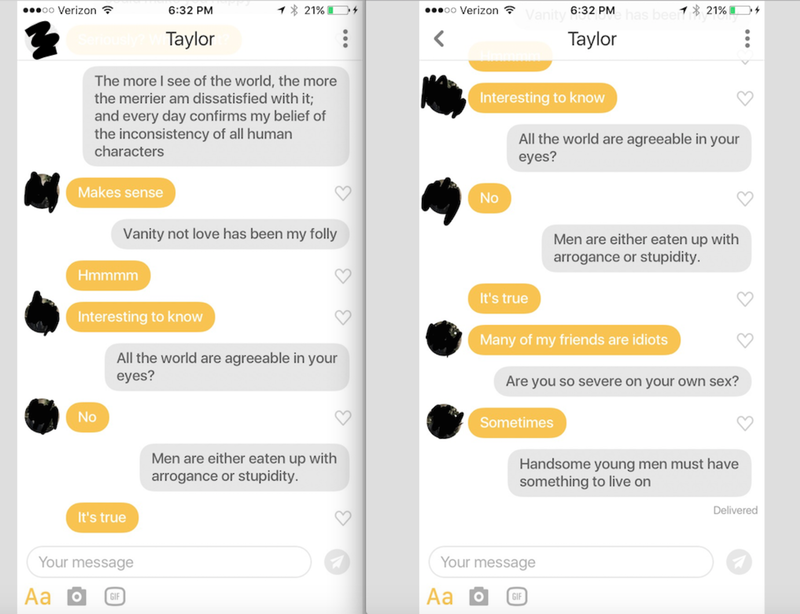 After suggesting a date, we thought for sure telling Taylor the woman on the other end of this exchange was in no way capable of bringing him fulfillment, he would become disinterested, even annoyed. But he kept going. A real life Darcy, perhaps? Wait, Taylor, did you seriously just agree when we said that all men are arrogant and stupid? Maybe not our perfect match after all. After Taylor, we were exhausted. Choosing appropriate Bennet replies is actually incredibly daunting. The conversations henceforth were much shorter but insightful nonetheless. 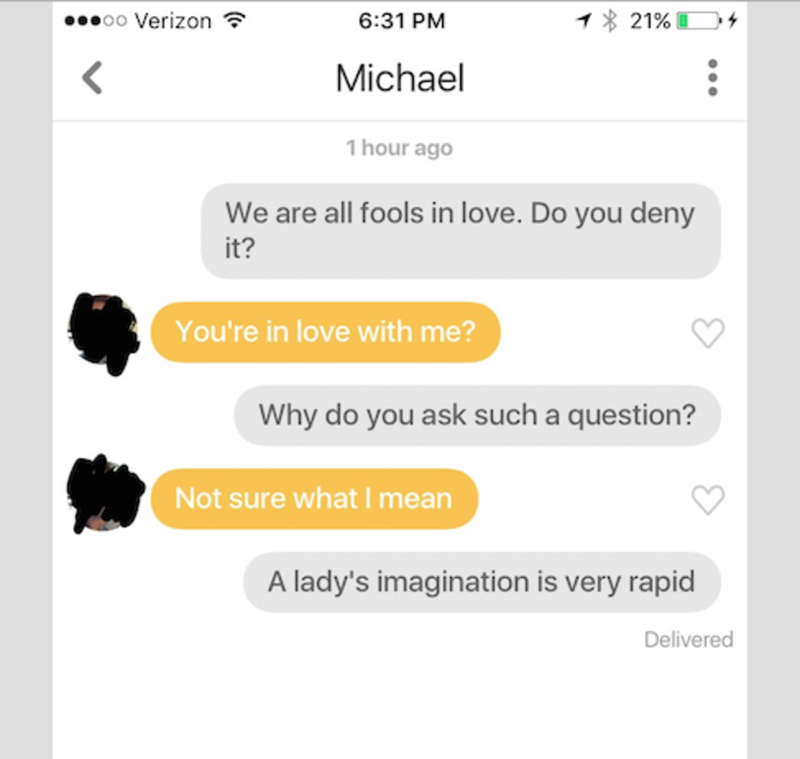 Here Michael wonders if our pickup line was actually a profession of love. Things got weird, fast. Erik didn&apos;t last long, and understandably so. One of our profile photos was the standard dating app hiking pic—you know, to show we&apos;re outdoorsy and adventurous. 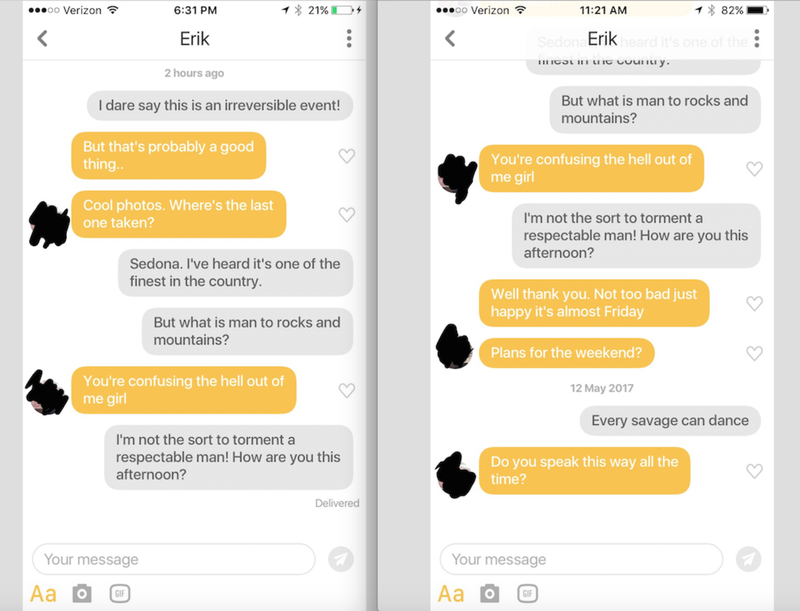 Unfortunately for Erik, his go-to conversation starter was too good an opener for us to not go full bore Austen on him. Erik, you&apos;re not the only one who&apos;s confused by this. We tried to recover, and Erik apparently still wanted a date. But a cryptic proposition of dancing was just too much for any modern man to take. You would think mentioning the M-word in your third message to a guy on an app would bring things to a screeching halt faster than a horse-drawn buggy stuck in the mud. Not so with Jon. Granted, we were more or less saying we were in no hurry to get married, but still. Jon answered the M-word with the D-word. Date. Well played, sir. Billy was quick out of the gate with the world&apos;s cutest GIF. That pug actually waves if you see it in action. Honestly, the adorable GIF was too much to handle, and we lost our ability to function. No Austen quote would do. I guess this is what happens when words fail. You&apos;re right, Billy, starting a conversation with you was so. worth. it. At the end of the day, we had to let these guys down easy; this was really just a fun experiment after all. 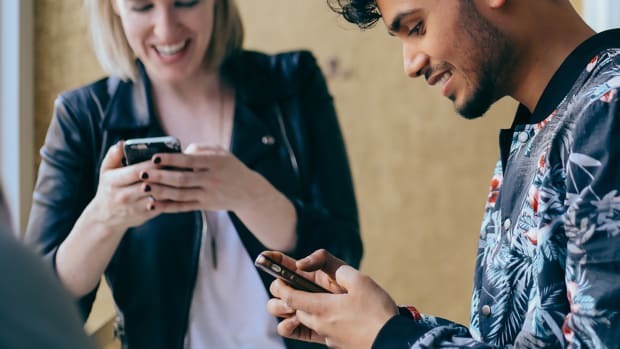 But it was heartening to see that it&apos;s actually not so hard to find interested guys and even a few dates in the app world. 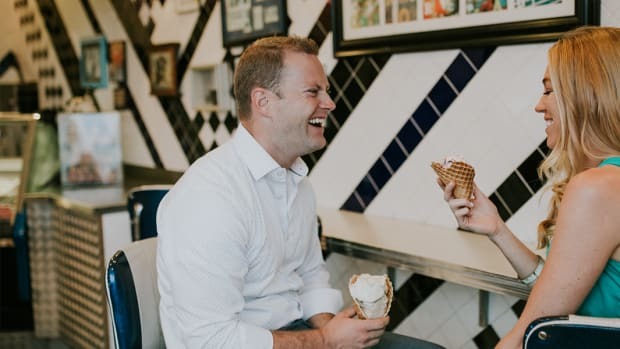 If we can talk like a woman from the eighteenth century and still make it work, you&apos;ll have more luck than you might think!